Area high school students take a turn in front of the TrojanVision cameras during 2018 J-Day. Nearly 600 high school students from around the state took part the Hall School of Journalism and Communication’s annual J-Day event on Thursday, Sept. 27. Organizers say it was the largest turnout ever for the annual high school journalism event, which gives up-and-coming journalists a chance to learn from veteran professionals. Each year, the department hosts high school students and holds a series of workshops to help the students learn more about the journalism profession. TROY journalism majors volunteered for the day to aid in the high schoolers’ learning experiences. The event began at 8 a.m. Thursday morning with a welcome ceremony in Claudia Crosby Theater. After, students were introduced to workshops for interviewing, reporting, yearbook, photography, advertising, broadcast packages, broadcast production, sports reporting and personality profiles. WSFA Sports Reporter Justin McNelley, a TROY alumnus, speaks to students during 2018 J-Day. An alumni Q&A panel in Claudia Crosby at 11:15 a.m. featured Hall School graduates now working in the industry, and Troy University photographer Joey Meredith talked to the students about photography in the ballrooms of the Trojan Center. 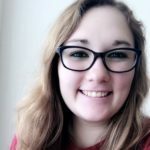 Kaylee Willis is an English major with a Multimedia Journalism minor from Fairhope, Ala.